The strike was launched at 4 this evening despite the leave of all station masters, drivers, guards, technical and others staff attached to the Department of Railway being cancelled. However, Chairman of the trade union committee Sampath Rajitha speaking to NewsRadio said if repressive measures are used against workers engaged in the strike, the strike action will be reinforced. 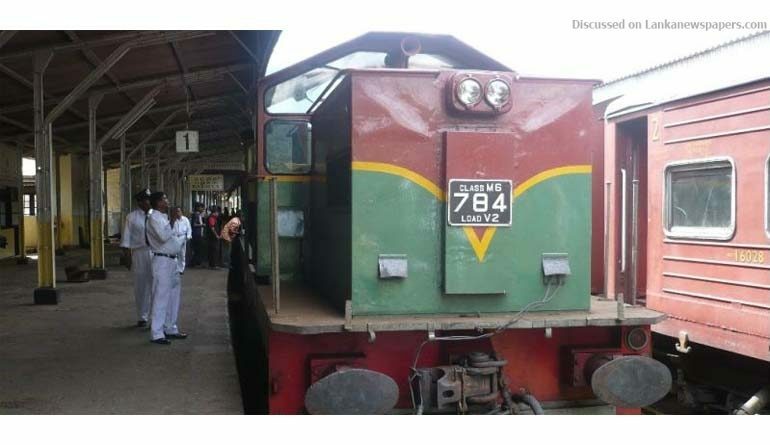 Meanwhile, Deputy Minister of Transport Asoka Abeysinghe said steps have already been taken to provide solutions to the salary anomaly issue of railway employees. The Deputy Transport Minister also said a firm decision will be taken regarding casual and additional employees if they fail to report to work.